We’re fast approaching July 19th now. What does that mean? It’s the release date of Aporia: Beyond the Valley. We already gave some lucky people the opportunity to play the game early with an hour-long demo, but we’re back to offer that chance to even more people, and you could be one of them. All you need to do is enter our giveaway below. 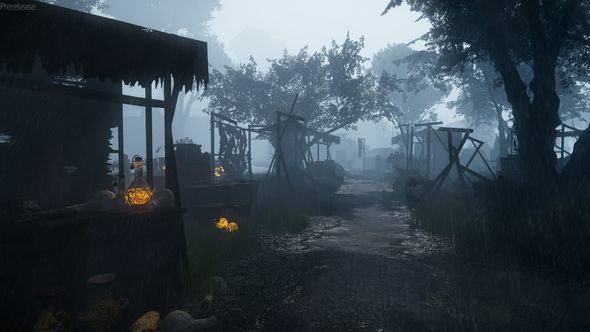 Aporia tells its story without any words, instead asking you to piece together its narrative by exploring non-linear environments, each filled with a mystery played out through scenes of strange nature, ancient technology, and a spirit that haunts a fog-covered forest. If you want to get your start in Aporia’s world then we have 40 Steam codes that’ll grant you an hour inside the game. If you want to win one of those codes then all you need to do is enter via our widget below. Every action you complete is worth one entry into the giveaway, and the more actions you complete the more chance you’ll have of winning. We’ll also need your email address so we can send you a code upon winning – we won’t send you spam, we promise! Additionally, we’re giving away ten more codes on our Twitch channel during our livestream tomorrow at 15:00 BST. Tune in for the chance to grab a code!